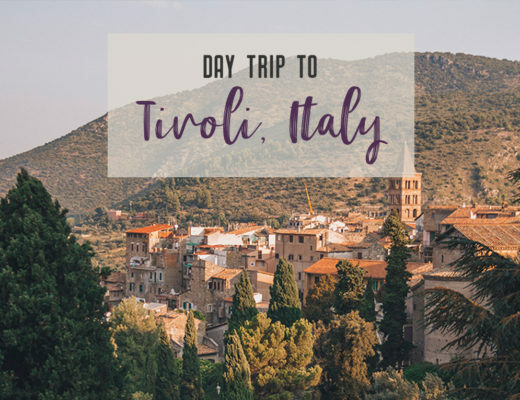 With limited vacation days a year, you get used to exploring a place on a whirlwind schedule. 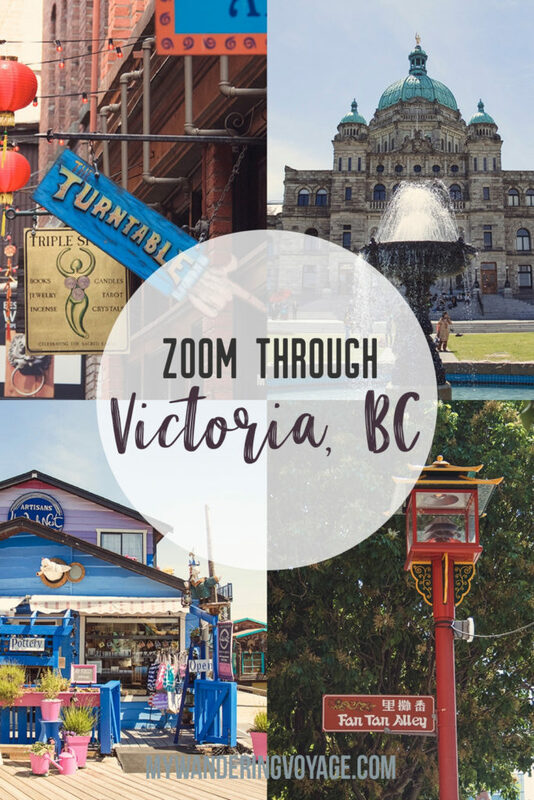 You can still get to know a place, even when zooming through, but Victoria, British Columbia needed more time then I could give it. 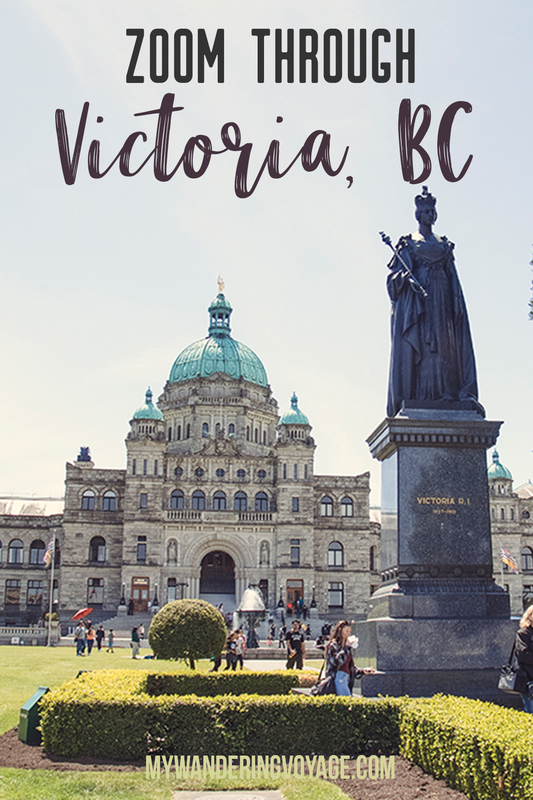 Victoria is a gorgeous city, aptly named the Garden City, and is a great getaway or stop for a Vancouver Island road trip. Hey there – this post likely contains affiliate links, which means I earn a commission (at no extra cost to you) if you purchase from them. This helps me earn a few dollars to run this website. For more info, check out my terms here. Victoria, BC is the capital city of Canada’s most western province. 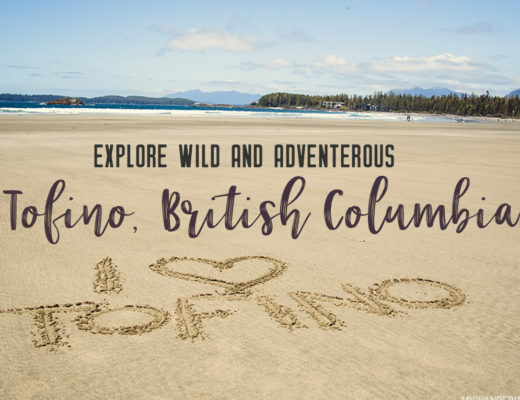 Located at the southern tip of Vancouver Island, the city has a rich history built on trade and marine life. Given that it was named after the British monarch Queen Victoria, the city has an aristocratic feel to it, with many of the historic building located in prominent places around the city. 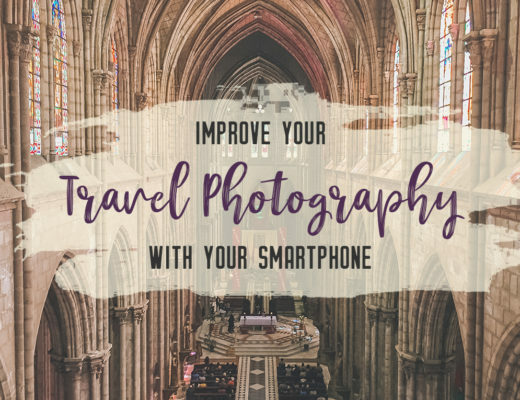 Don’t forget to bring along a guide book – like this helpful one from Lonely Planet! I found the capital to be much more charming than larger, more metropolitan Vancouver. 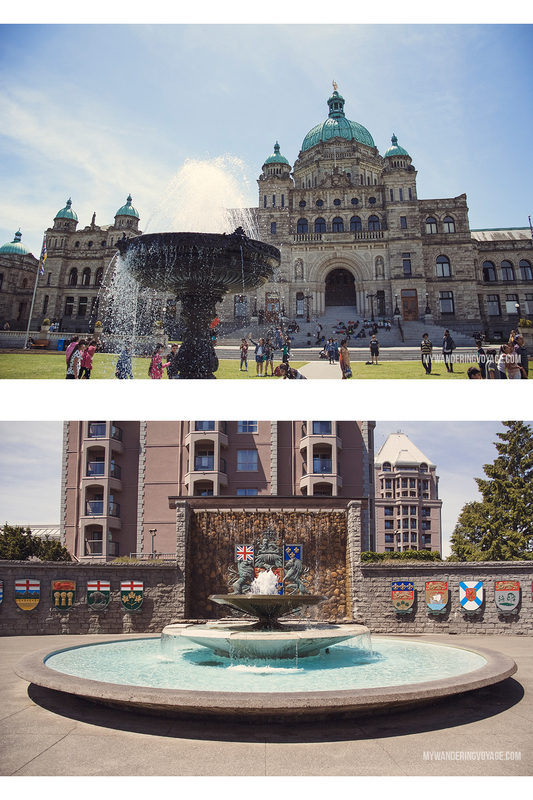 Victoria is still a sizable city with a population of more than 84,000. 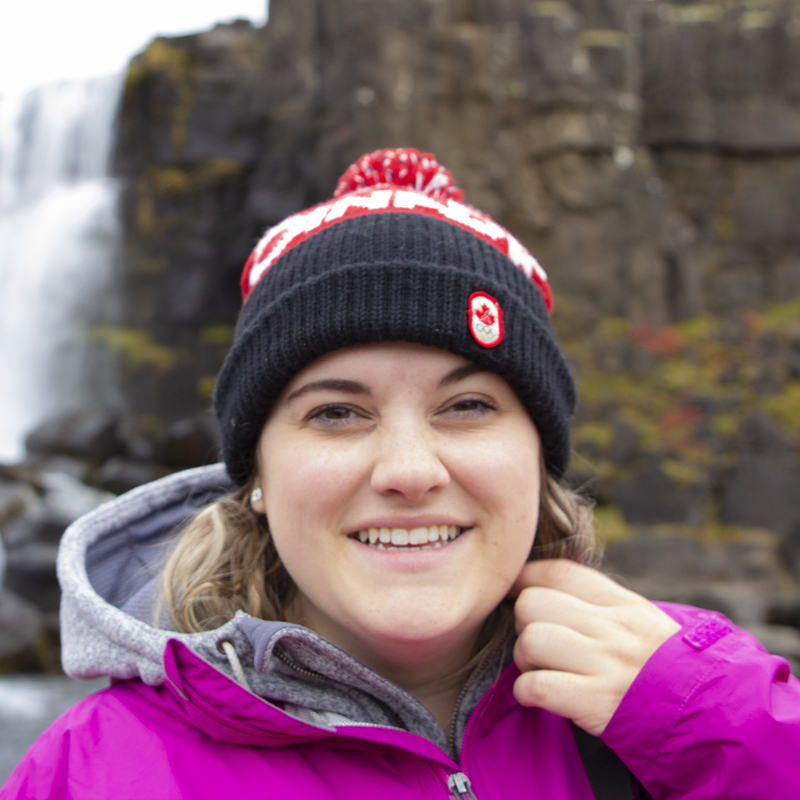 And given the location, Victoria is a perfect jumping off point to many marine adventures, like whale watching. It’s easy to see and experience the regality of Victoria by walking its streets and alleys. Here are the best stops to see and best places to eat while you zoom through Victoria, BC. 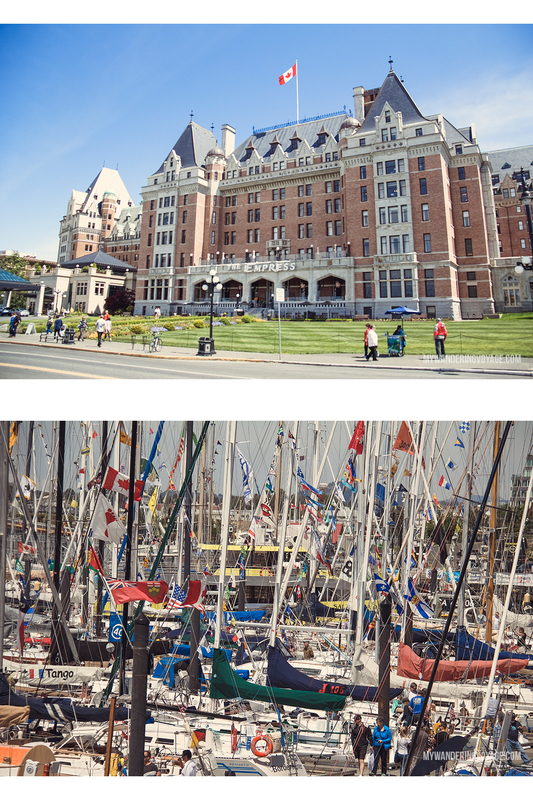 The majestic structure of the Fairmont Empress is the heart of Old Victoria. Opened in 1908, the hotel is considered to be one of the oldest hotels in Canada. It often lights up at night and is a mainstay in Victoria’s culture. Even if you don’t stay in one of the over 400 rooms, you can still experience the charm of the Fairmont Empress through its high tea. Served every day since the hotel opened in 1908, Tea at the Empress experience is world-renowned. The tea is served in one of the most luxurious grand rooms and, while expensive, is an experience you don’t want to miss. Another winning building in the gorgeous architecture category is this stunning BC Legislature building. Here is where the province’s members of provincial parliament get together to debate and create laws. Victoria is the capital of British Columbia, so of course, it would host this building. I’ve seen many of Canada’s provincial parliament buildings, but this one in Victoria outshines them all. It’s such a beautiful building, and the property is perfect for lounging in the sun and people-watching. Canada wasn’t formed overnight; it took several decades for the provinces and territories to come together as one. But in 1967, when Canada turned 100, the provinces were together as one. The Confederation Garden Court depicts each of the provincial and territorial coat of arms. Nunavut was added in 1999. 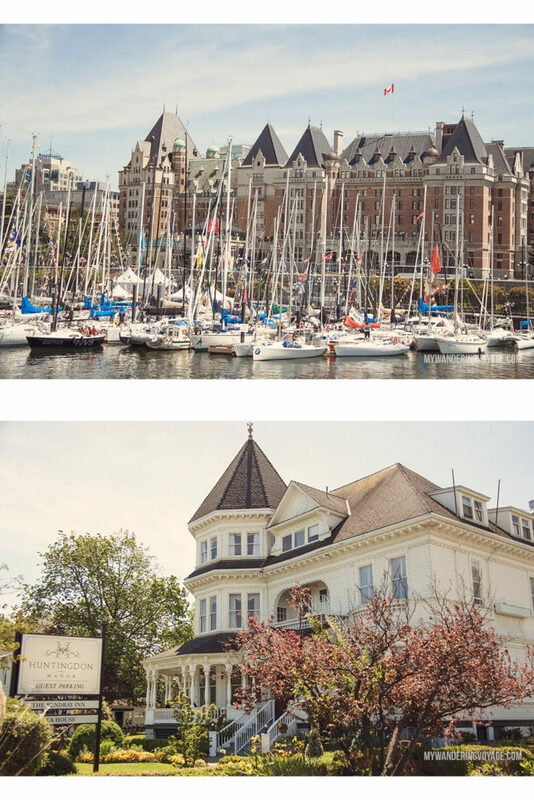 It’s no surprise that Fisherman’s Wharf is a hotspot for visitors to Victoria, BC. The colourful floating homes in the shops make it a great place to explore. 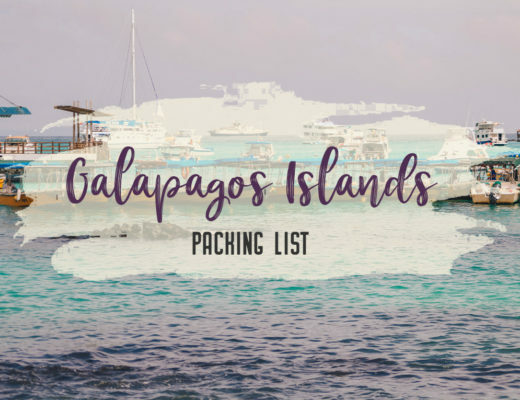 This unique area has shops and food kiosks and is a jumping off point for many adventurous eco-tours like whale watching and kayaking. The floating home village is an interesting and vibrant community. There are only about a dozen or so homes, and it redefines what it means to have waterfront property. Keep your eyes peeled, and you might just see a seal or two frequent the harbour. 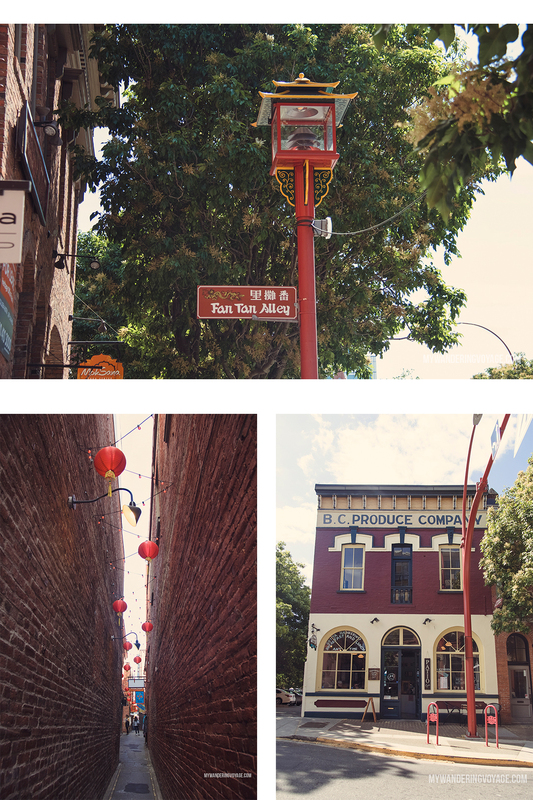 Much like Vancouver, Victoria, BC has a distinct Chinatown neighbourhood. Chinese immigrants have a long, rich and, many times, heartbreaking relationship to the growth of Victoria, BC. The district stands out with its red and gold colours and unique architecture. 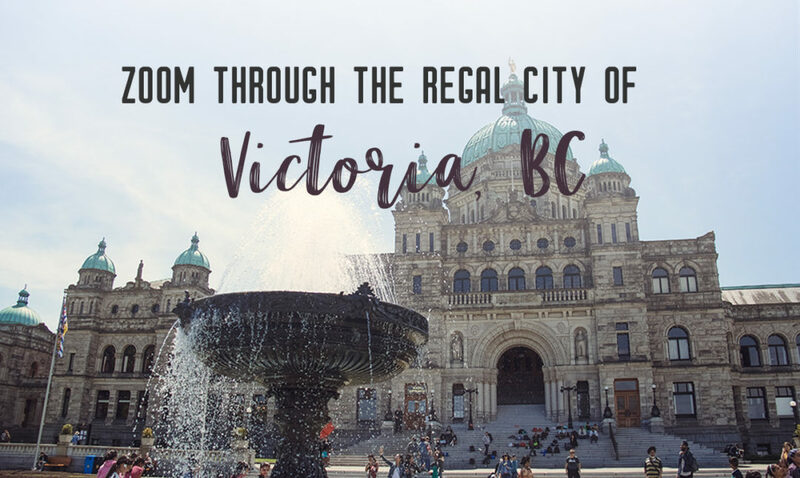 It has a fascinating past with gambling and opium shops, but it has become an important cultural centre for thousands of immigrants of Victoria, BC. 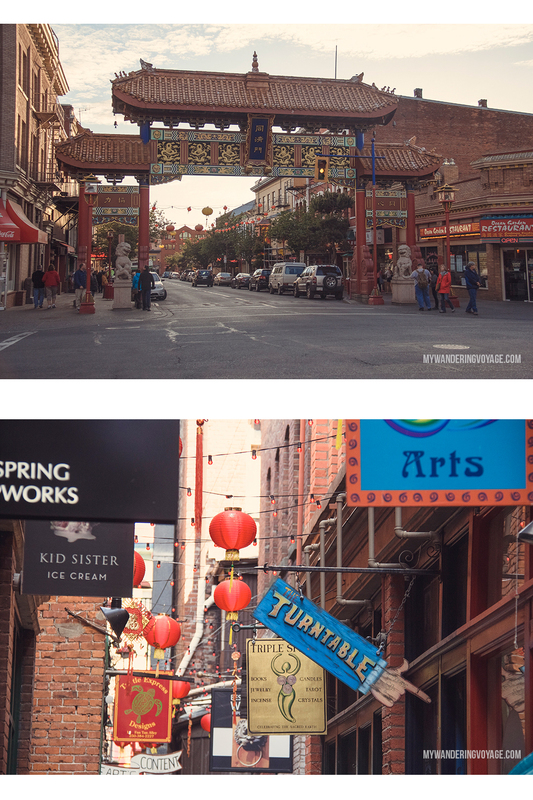 In Chinatown, there are shops and restaurants galore. You should also stop by the Gate of Harmonious Interest, in infamous Fan Tan Alley, and the lesser known Dragon Alley. This gate was built in the 80s and spans Fisgard Street in Victoria, BC. It is very similar to the Millenium Gate in Vancouver, and it’s just as beautiful. Tucked away in the heart of Chinatown is Fan Tan Alley. The alley is almost straight from the pages of Harry Potter book. The alley was once a gambling district with opium dens and shops, but now is a tourist destination with galleries, shops and cafes. The lesser-known Dragon Alley is just a block away from Fan Tan Alley. Here you’ll find gorgeous townhomes, a few shops, and even a little free library. It’s definitely worth a peek! Located in the trendy fashion district, Market Square is home to dozens of shops and restaurants. 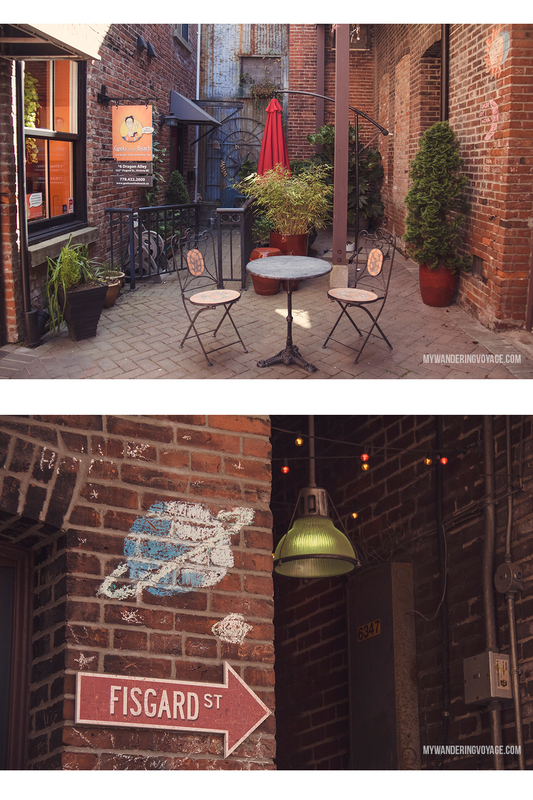 The historic brick buildings surrounded by an open courtyard are some of Victoria’s oldest landmarks. 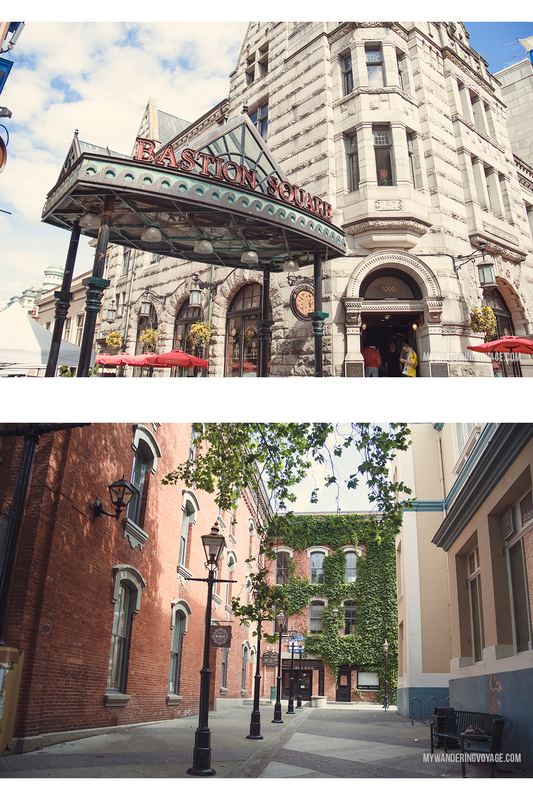 I get the feeling Victoria loves its alleys and squares because another one to explore is Bastion Square. This open pedestrian shopping district includes historic buildings, trendy shops and, in the summer, markets. 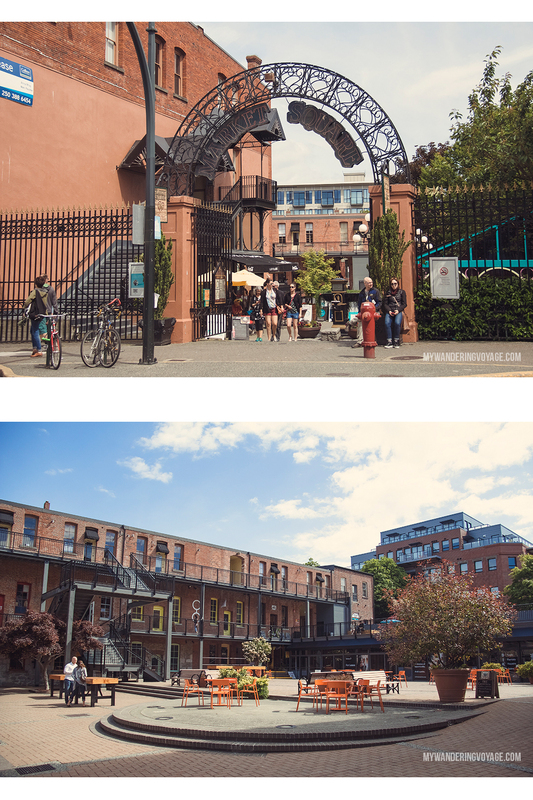 If you want to get out of the downtown of Victoria, BC there are still plenty of sights to see. 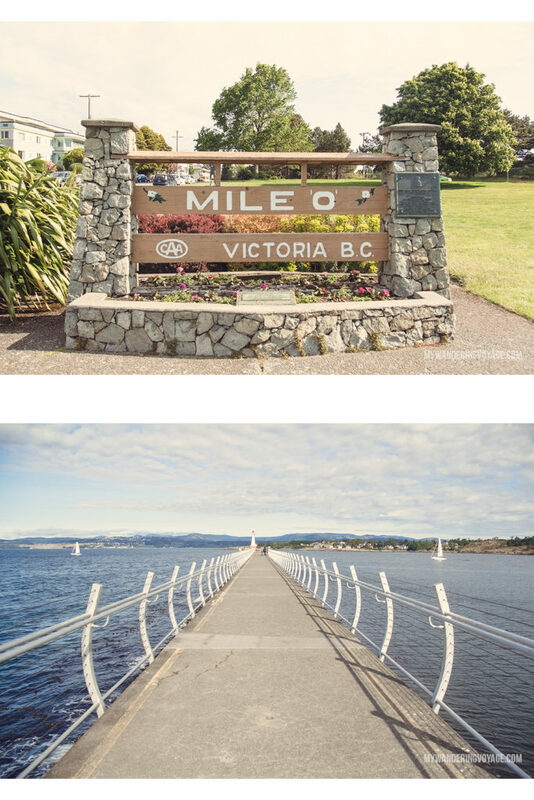 The almost kilometre-long breakwater in Victoria, BC is a great place to stretch your legs. At the entrance to the breakwater is the Ogden Point sundial, an interactive piece that will help you tell the time! Along the way, make sure to spot the Na’ Tsa’ maht Unity Wall mural on the sides of the breakwater. At the very end is the lighthouse that guides the massive cruise ships into port. This 200-acre park is home to sports fields, trails and more. The fourth-tallest totem pole is erected here! The tallest is in Alert Bay, BC. Built in the 1890s, Craigdarroch Castle is a Scottish-style castle known for its intricate stained glass windows. This house was once home to one of Canada’s most famous painters – Emily Carr. Her home is now an interpretive centre dedicated to her life, her paintings and her writings. Most of her work is on display at the Vancouver Art Gallery and the National Gallery of Canada in Ottawa. 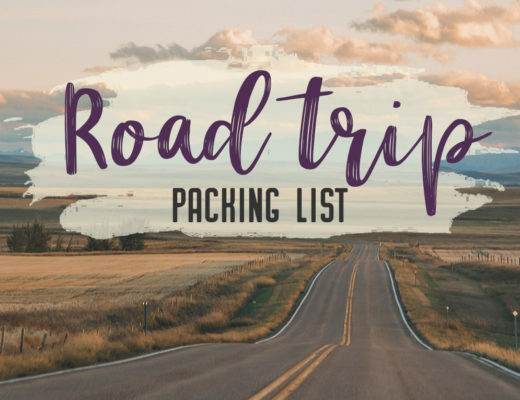 With all of this exploring, you’re bound to get hungry for a decent meal. Try these places for a great meal with an enjoyable experience in Victoria, BC. Barb’s Fish and Chips is one of the best places to get the classic fish and chips to fill you up for lunch! 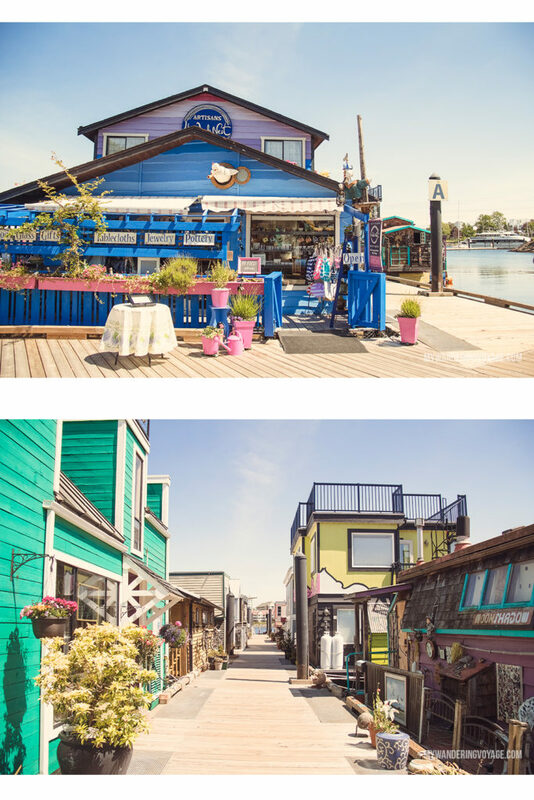 Located at Fisherman’s Wharf, this floating fish and chip shack is a perfect place to people watch while you enjoy a tasty meal. In my opinion, afternoon tea is something we should bring back. I mean there’s nothing better than sipping delicious tea while eating mouth-watering scones. 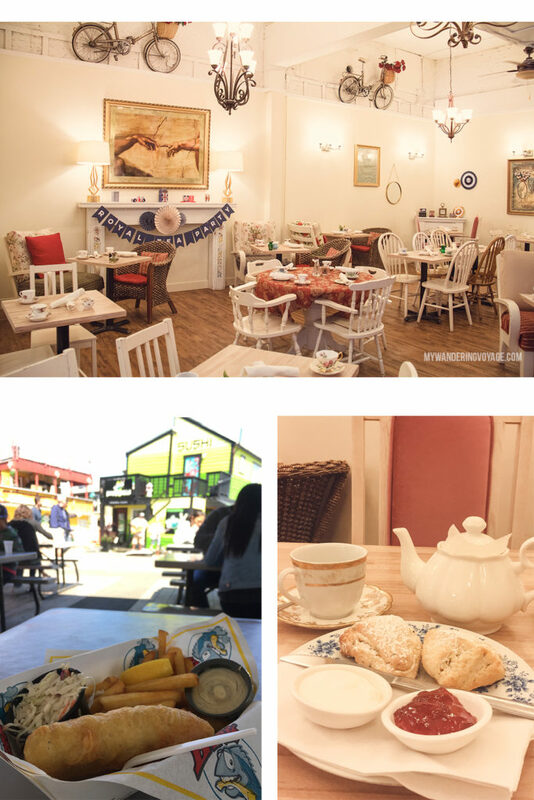 Venus Sophia Tea Room is the best place to get high tea at a decent price. The eclectic shop has the perfect atmosphere to enjoy their delicious eats. 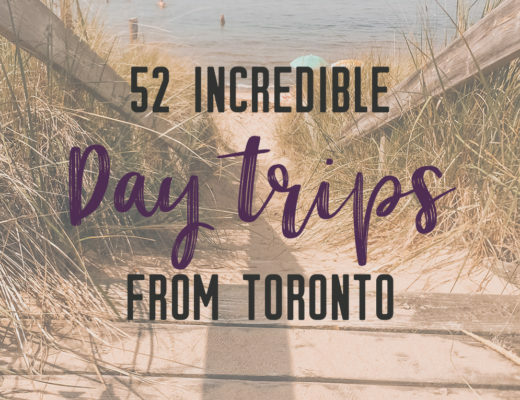 Most of Victoria can be seen in a day or two, but if you’ve got extra time, you’re going to want to do two very specific things: whale watching, and exploring Butchart Gardens. Whale watching is one of the best experiences to have in British Columbia. With so many whales calling the Salish Sea home, it’s the best place to view Orcas in their natural habitat. 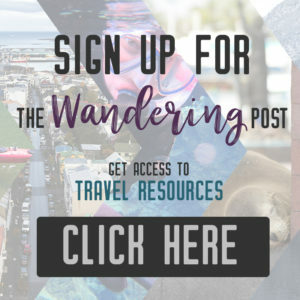 I took a whale watching tour with Eagle Wing Whale and Wildlife Watching tours Eagle Wing Whale and Wildlife Watching tours. I loved how their business is attuned to environmentalism. You can read more about my experience here. The Butchart Gardens, located about 30 minutes north of Victoria, is a National Historic Site of Canada. For over 100 years, these gardens are a treat to the eyes with the wide range of flowers and plants. The best way to get around Victoria is to walk. 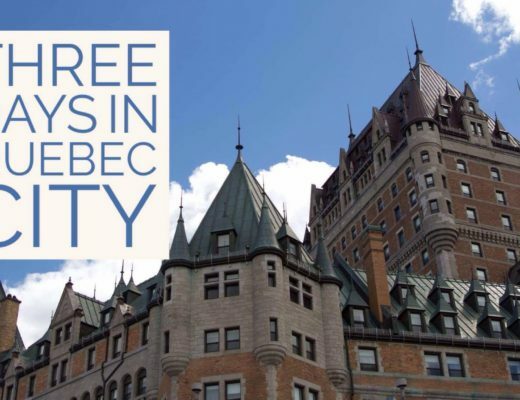 The city is really small, and most of the places you’ll want to see are concentrated in the downtown core. However, since Victoria, BC was built around a harbour, then the Harbour Ferry is a great way to get to and from the Fisherman’s Wharf. Look for the H2O water taxi stops for a ride from the Fisherman’s Wharf to a more central location. While on this trip, we saw Harbour Air land one of its seaplanes right next to us. Harbour Air is a fleet of pontoon boats that carry about a dozen passengers to places like Victoria, Vancouver, Whistler, Tofino, Seattle and more. So whether you stay for a day or a week, there’s always something charming to do in Victoria, BC.